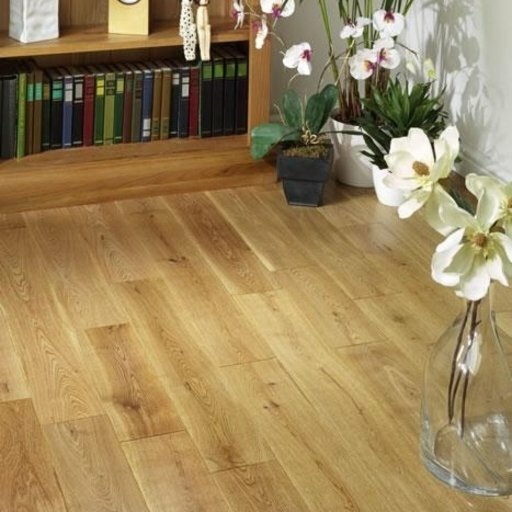 Tradition Solid Oak Flooring with a width of 125 mm and 18 mm thickness is sealed in lacquer finish and comes packed in random lengths of 300mm - 1800mm. 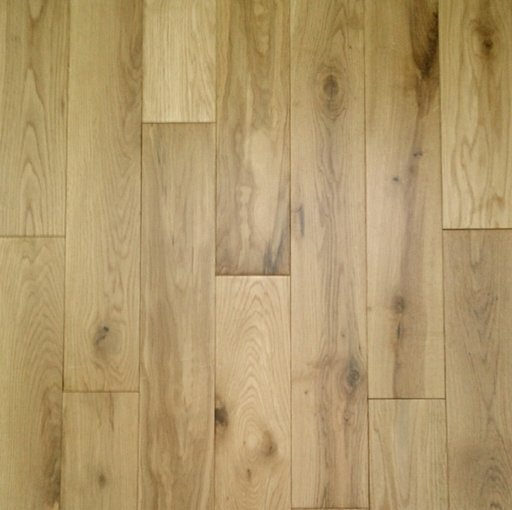 The Solid Wood Flooring offers glue down and nail down installation method with tongue and groove joint system. All planks has bevelled edges on four sides resulting in embossed joints where the planks meet, adding depth and definition to each plank. The rustic grade of the planks provides a vibrant colour of the wooden surface, full of character and excitement. The floor can display heavy grain markings and figuring, allowing wider colour variation and frequent knots of varying sizes. The floor is prefinished with a durable factory applied satin lacquer which provides glossy and shiny look to the surface due to its reflection properties. The UV Varnish finish provides golden brown colour to the floors. Maintenance: It is easy to clean and maintain this Traditional Flooring product if you use high quality products from Bona. We offer you Spray Mop Cleaning Kit and Cleaner Spray. Book qualified installers for your Tradition Flooring for only £00.00 excl. Vat, based on the Packs specified above. Quote is excluding of Flooring accessories and other services. Unfinished products will require additional sealing & finishing service, not included in this quote. Our Final Quotations come with Extended Service Guarantee and are subject to an Obligation free site visit (currently London areas only). Smaller sized areas (below 15 sqm) will be subject to a minimum charge. For more information please Speak to a member of staff on 020 88309782.